Blockchain is often touted as a world-changing technology and in many ways, it is. However, it isn’t necessarily the cure-all panacea for the world’s problems that many evangelists would have you believe. At least, the way it is being used today, it does. Blockchain relies on encryption to provide its security as well as establish consensus over a distributed network. This essentially means that, in order to “prove” that a user has permission to write to the chain, complex algorithms must be run, which in turn require large amounts of computing power. Of course, this comes at a cost. Taking the most widely known and used blockchain as an example – Bitcoin – last year it was claimed that the computing power required to keep the network running consumes as much energy as was used by 159 of the world’s nations. Yes, Bitcoin’s blockchain is a hugely valuable network – with a current market capacity at the time of writing of over $170 billion – so sophisticated and computationally intense security is essential. 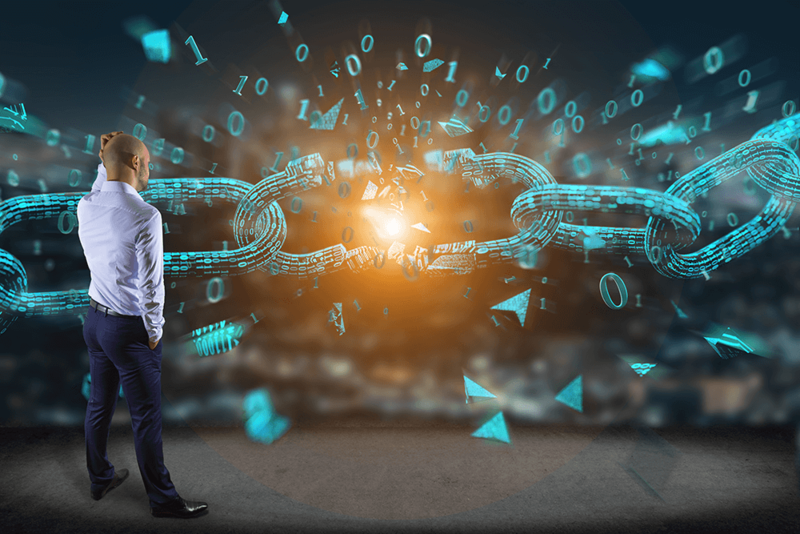 Smaller scale blockchains – such as those that an organisation may deploy internally to securely monitor and record business activity – would consume a fraction of that. Nevertheless, it’s an important consideration and the environmental implications as well as the energy costs can’t be ignored. Again, this is largely a problem with Bitcoin or other value-based blockchain networks. But the fact is, as many investing in Bitcoin or other cryptocurrencies for the first time in the last few months have found to their cost, it’s a very volatile environment. Due to the lack of regulatory oversight, scams and market manipulation are commonplace. Among the high profile cases is Oncecoin – recently revealed as a ponzi scheme which is believed to have robbed millions from investors who believed they were getting in early on what would become the “next Bitcoin”. As with many areas of tech in recent years, legislators have largely failed to keep pace with innovators (or scammers), leading to rich pickings for those seeking to exploit “FOMO” – the “fear of missing out”. Even if, as a speculative investor in cryptocurrencies, you choose to stick to the relatively established coins such as Bitcoin, Litecoin or Ether, there is always a chance that the exchange or online wallet where you keep your coins will be hacked, shut down by governments due to shady practices, or simply abscond with your coins. Again, this is a consequence of the lack of regulatory oversight across the sector. Although its potentially revolutionary applications are apparent once one has made the effort to understand the principles of encryption and distributed ledgering behind blockchain, it takes a while, and a good bit of reading, before the “man on the street” can see what makes blockchains potentially so useful. Tech pundits talk about replacing the middle-man facilities traditionally provided by the financial services industry – such as clearing payments and fraud prevention. But as far as many are concerned, banks provide this service adequately well, at an apparently low cost to the end user. It’s no coincidence that the first blockchain – Bitcoin – entered public consciousness immediately following the financial crisis of 2008, when media and public opinion reflected a widespread dissatisfaction and growing distrust with established financial institutions and instruments. Ten years later and with no apparent danger of immediate repeat, is there still an appetite for wholesale tearing down of financial services and rebuilding it from scratch? Of course, the previous crisis was largely unexpected, and who knows what is around the corner. Global events could reignite the appetite for change, but until they do, blockchain could remain a hard sell for many. Once again due to their complexity and their encrypted, distributed nature, blockchain transactions can take a while to process, certainly compared to “traditional” payment systems such as cash or debit cards. Bitcoin transactions can take several hours to finalise, which means there are inherent problems in the idea that you will be able to use them to pay for a cup of coffee in your lunch hour, unless the vendor is willing to take on an element of risk. And wasn’t that something which the “trustless” nature of blockchains was expected to remove from the equation? In theory the principle extends to blockchain networks which are used for something other than as a store of value, for example logging transactions or interactions in and IoT environment. These chains – really just computer files, after all – have the potential to become slow and unwieldy as they grow in size, and the number of computers accessing and writing to the network grows. Hopefully this is a problem which will be solved with advances in engineering and processing speeds, but at this point in time it remains a problem, nonetheless. Banks make huge amounts of profit from playing the middle-man role, and because the cost is distributed among their millions of customers, end users usually pay very little individually. Back in 2015 one former boss at Barclays described the interest and apparent enthusiasm of his sector as “cynical” – stating that it stems from a desire to exert control or even block the usefulness of the emerging technology. Banks carry huge lobbying power with governments and legislators. It’s conceivable that should they decide it is in their interests, the established financial services industry could, if not kill blockchain, dramatically reduce its usefulness and restrict its availability. In my opinion, however, although these five issues could pose significant hurdles, it likely that blockchain technology will evolve over the coming years. After all, technological advancement, much like nature, has a way of finding its way around artificially constructed barriers.